What areas of Wisconsin do you service? Southeastern Wisconsin (Waukesha County, Milwaukee County, Washington County, Ozaukee County, Dodge County, Jefferson County, Walworth County, Racine County and Kenosha County) is our main service area. We also do work throughout the rest of the State of Wisconsin. http://landtechwi.com/wp-content/uploads/2014/04/Photo3a.png 204 437 LandTech Surveying http://landtechwi.com/wp-content/uploads/2014/04/LT2.png LandTech Surveying2014-04-16 17:48:132014-04-24 04:28:07What areas of Wisconsin do you service? How long does a land survey take? Simply put, we will meet your deadline. You tell us the date you need the survey and we will deliver it to you by that date. If we can not meet your deadline, we will recommend you to another company that may be able to help you. Land Tech has never committed to a project and not met the agreed upon deadline. http://landtechwi.com/wp-content/uploads/2014/04/Photo2a.png 204 437 LandTech Surveying http://landtechwi.com/wp-content/uploads/2014/04/LT2.png LandTech Surveying2014-04-16 17:34:442014-04-24 04:22:47How long does a land survey take? Land Tech Surveying, LLC recently completed a boundary survey for a client in Brookfield, Wisconsin. The property consisted of a 1/2 acre parcel in a residential subdivision. The owner was looking to re-build his fence, but the City of Brookfield requires and updated survey to do so. It turned out that the original fence in the rear of the lot was built 1 foot past the property line. The new fence will now be moved over so that it does not encroach onto the neighboring property. This is one reason why it is important to have an updated Plat of Survey done if you are planning on doing any sort of construction on your property. If you or someone you know is looking for a land surveyor in Brookfield or a land surveyor in Waukesha County, give Land Tech Surveying a call at 262-367-7599 or visit our website at www.wisconsinsurveys.com. Last month Land Tech Surveying, LLC completed a boundary survey for a client in Sussex, Wisconsin. The property consisted of 2 different parcels totaling 2.5 acres. The owner is looking to build a home on the property at some point, but for the time being, he just wanted to see where the property lines were. When he does decide to build, the 2 parcels will have to be combined into one. In order to do this a Certified Survey Map, otherwise known as a CSM will have to be drafted and recorded with Waukesha County Register of Deeds. For now it was important for the land owner to know where his boundary was so that he can decide where he would like to build and he has a visual of how large his lot is. If you or someone you know is looking to build a house, contact a land surveyor to start the planning process and have a boundary survey or plat of survey done. Call Land Tech Surveying, LLC at 262-367-7599 or visit our website at www.wisconsinsurveys.com. Last month Land Tech Surveying, LLC completed a boundary survey for a client in Sussex, Wisconsin. The property is a 1 acre residential lot in a subdivision. It was important for the land owner to know where his boundary was so that when he gets to building a fence, it will stay on his property. There were also multiple utility easements cutting through the property that were shown on the survey. If you are about to buy a property, make sure to have an updated survey done before closing. A small cost ahead of time can save you a fortune in the future. Land Tech just recently finished a boundary survey on a 152 acre farm in the Town of Hubbard, in Dodge County Wisconsin. What is a Boundary Survey? A boundary survey is a survey to establish the boundaries of a parcel using its legal description which typically involves the setting or restoration of monuments or markers at the corners or along the lines of the parcel, often in the form of iron rods, pipes, or concrete monuments in the ground, or nails set in concrete or asphalt. In the past, wooden posts, blazes in trees, piled stone corners or other types of monuments have also been used. A map or plat is then drafted from the field data to provide a representation of the parcel surveyed. If you are looking for a land surveyor in Southeastern Wisconsin, give Land Tech Surveying and Engineering, LLC a call at 262-367-7599. You can also check out our website at www.wisconsinsurveys.com or email us at landtechsurveying@gmail.com. 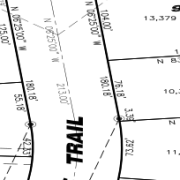 Land Tech Surveying and Engineering, LLC, just recently finished an Elevation Certificate and a LOMA for a land owner in Kewaskum, Wisconsin in Washington County. They were paying a very high rate of flood insurance on a property that has been high and dry for as long as they can remember. FEMA came out with new flood maps in 2008 for most of Southeastern Wisconsin which shows an expanded range of floodways. This has affected thousands of homeowners, which are now forced to purchase flood insurance for the first time or at a higher rate than before. Land Tech has completed dozens of elevation certificates over the last year, and has helped numerous land owners either lower their flood insurance or completely get rid of their flood insurance. In return, they will save thousands of dollars over the years to come. Land Tech Surveying and Engineering, LLC, will help those who feel they are paying for flood insurance unjustly, or would like to have their home rated at a lower risk for flooding. Having been through the process many of times, we understand the frustrations and complexities this process may entail. Put our experience to the test as we have successfully helped many of our clients save hundreds, if not thousands of dollars a year. Let Land Tech fill out an Elevation Certificate or a LOMA, and let us handle this difficult process with FEMA to lower your flood insurance. What is an ALTA/ACSM Survey? A land survey is made for the Title Company and/or Lender with the survey and location data needed for the issuing of title or mortgage insurance. For this purpose a map is drawn to “ALTA” specifications. “ALTA” stands for American Land Title Association. ALTA specifies the data to be shown on the survey and this includes boundary lines, location of the main building including improvements, location of ancillary buildings, the identification of easements (access rights by service companies such as water, gas, telephone, railways and other utilities). ALTA surveys are very complex surveys and can cost upwards of a thousand dollars and take weeks to complete. For that reason most ALTA surveys are performed on commercial properties. An ALTA Land Survey guarantees to meet the requirements for an ALTA/ACSM Land Title Survey as detailed by the American Land Title Association, National Society of Professional Surveyors and the American Congress on Surveying and Mapping. 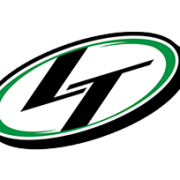 Land Tech Surveying & Engineering LLC, is a professional land surveying and civil engineering company serving the needs of Southeastern Wisconsin. Our goal is to be our clients’ #1 choice for all their land surveying and engineering needs. We can provide you with our services in a timely and accurate manner while staying cost effective. 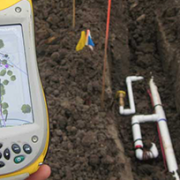 Land Tech Surveying & Engineering LLC uses the latest field equipment and surveying software to ensure that the client has quality results. We strive for professionalism and a commitment to long-term relationships. Our success will be measured by those whom we serve. Land Tech provides professional land surveying services including Plat of Surveys, ALTA/ACSM surveys, Certified Survey Maps, Topographical surveys and mapping, construction staking, FEMA Elevation certificates, LOMA’s, architectural surveys, easement and legal descriptions, environmental surveys and all types of boundary surveys for developers, builders, lenders and government agencies. Land Tech also provides drafting and engineering consulting including preliminary plats, subdivision plats, Condo plats, subdivision design, stormwater management, and erosion control. When you need a survey done, don’t hesitate to call. We serve all of Waukesha, Milwaukee, Ozaukee, Washington, Dodge, Jefferson, Walworth, Kenosha, and Racine counties, and the rest of Wisconsin. To provide professional land surveying and land planning services to Landowners, Contractors, Developers, Engineering firms, Architectural firms, Utility Companies, and Municipalities. Our goal is to be our client’s first choice for all their land surveying needs by providing cost effective services in a timely and accurate manner while using the latest field equipment and surveying software to ensure high quality results. We strive for professionalism and a commitment to long-term relationships.